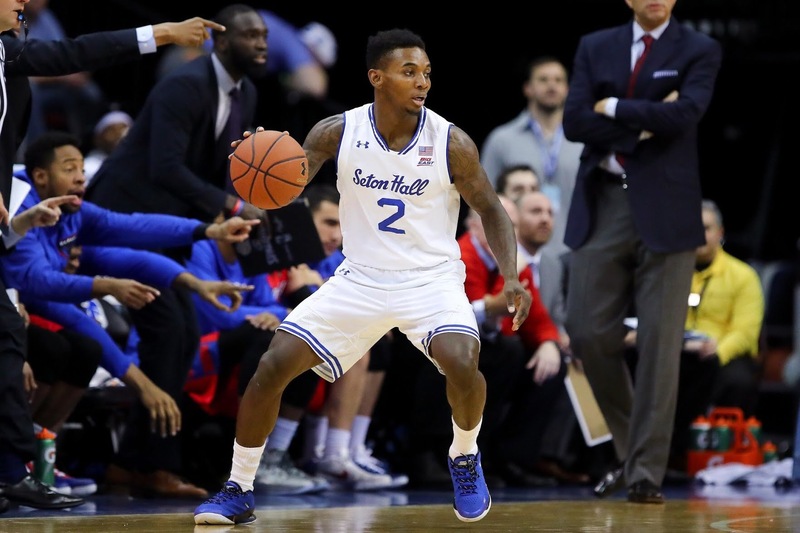 Javon Thomas became the third Seton Hall player to leave the program this season on Wednesday afternoon. Thomas, a transfer from Kansas State, started his Seton Hall career on suspension after getting into a altercation with a graduate assistant following an on-campus intramural basketball game. Once off suspension, Thomas hasn’t meshed with the team and complained about lack of minutes to head coach Kevin Willard. After not getting the response he wanted, Thomas decided to leave the program. Thomas, along with Veer Singh (left to pusue another college) and Myles Carter (dismissed from team) have left Seton Hall’s bench razor thin heading into the teeth of the Big East Conference schedule. The team is coming off a hard fought overtime win aganst Georgetown and is playing a much improved Providence team tonight at home. The Friars beat Seton Hall in Providence earlier this season. Thomas numbers this season chartibly were mediocre but he did provide minutes for a very thin Seton Hall backcourt. He averaged less than a point and an assist a game this season for the Pirates. As of today, Seton Hall is seventh in the Big East standings and has little room for error in keeping their postseason hopes alive. With losing twenty percent of their roster in the past two months, it will put a strain on their starters. The Pirates and Providence tip at 8:30 and the game is on Fox Sports 1. We’ll have more developments as they are made available.